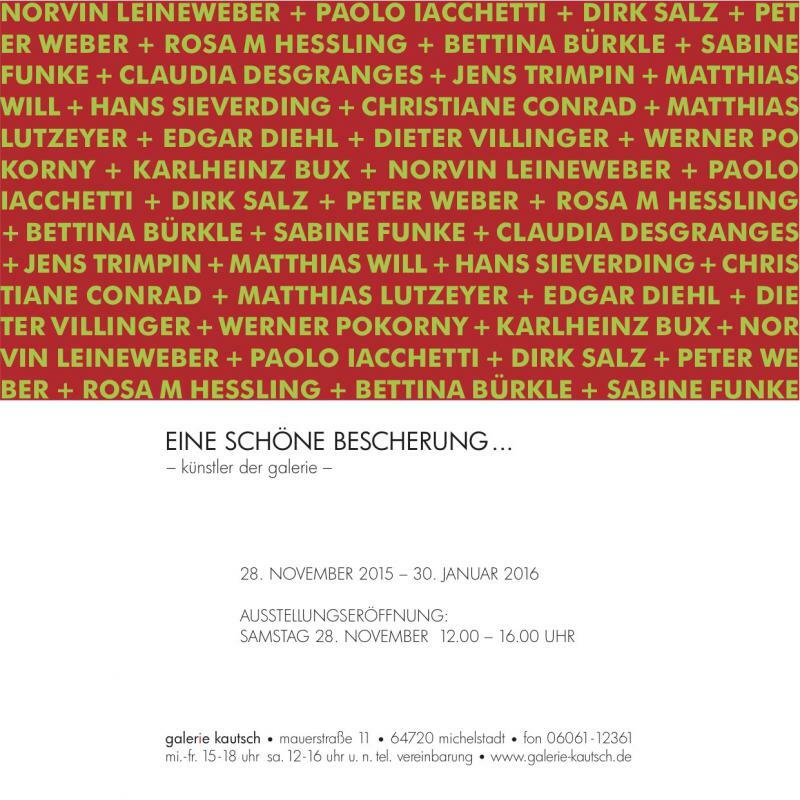 Galerie Kautsch, in Michelstadt near Darmstadt manages a radical nonobjective programm since many years. Therefore it is well known in the german artscene. This and the hospitality of the gallerist attracts a lot of lovers of nonobjective art from far distances too. Merry Chrismas!